The inspirational and life changing ministry gift of New Zealander, Rev. Andrew Eastmond, has continued to impart blessing since 1980. He and his wife Kathy direct New Heart Ministries, Inc., a teaching and music ministry that reaches into over 25 states in America, and other countries of the world to strengthen the work of Jesus Christ in every Christian’s life and to reach out to the lost. 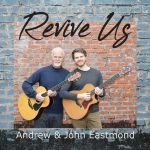 As a singer, songwriter, musician and ordained Minister, Andrew’s gifts have increasingly made room for him to meet the need of our generation. His compelling and prophetic music and messages touch hearts of all ages and walks of life. His son, John, was ordained in 2014 and enriches this ministry with his in-depth bible teaching. 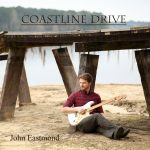 He also writes and performs his original and anointed biblical songs solo, as well as with Andrew; playing amazing and skillful lead on electric and acoustic guitars. This Father/Son team have been bringing tremendous encouragement and hope to families in an age where there is a desperate need in this area. Pastors and ministers from many parts of the world are united in a common appreciation of the truly unique and wonderful ministry entrusted by God to Andrew, Kathy, and John.